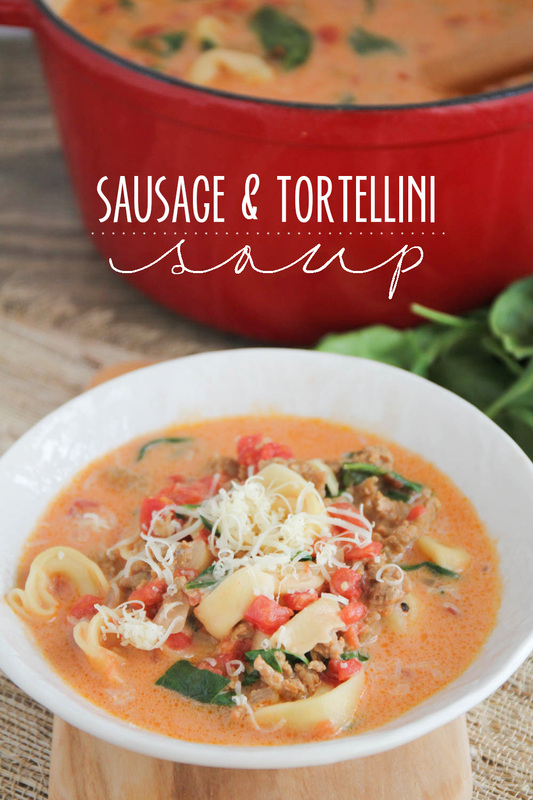 This savory and delicious sausage and tortellini soup is the perfect hearty meal for a cold night! I'm sure you know by now that I love soup in any way, shape, or form, so it's pretty surprising to me that I've seen this soup all over Pinterest and hadn't tried it yet... until now, that is! It always looked delicious, but I just never got around to trying it. 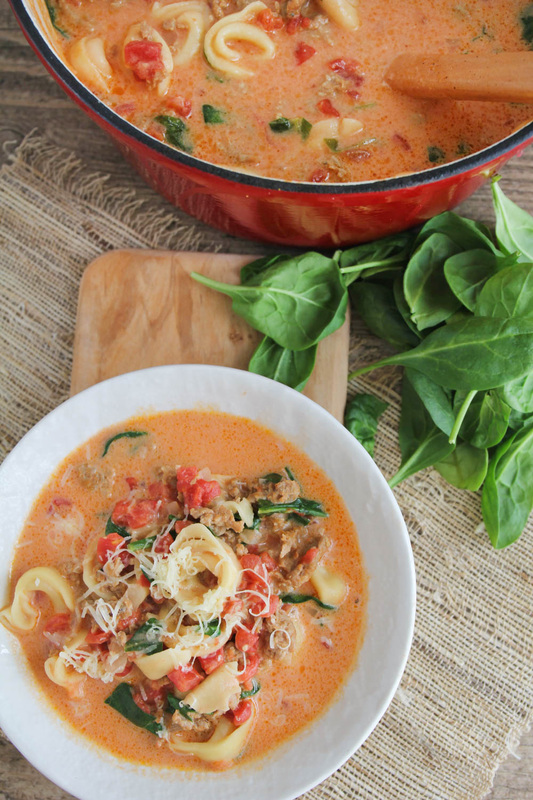 My mom invited us over for dinner last month and made this soup, and I was hooked! I had to make it for myself, as soon as possible. It's savory and delicious, and full of different flavors and textures that complement each other. Plus it's super quick and easy to make! You'll start by browning your sausage with some onions and garlic... just the smell was pretty amazing by this point! Next you'll add chicken broth, diced tomatoes, and tomato sauce, and bring the mixture to a simmer. 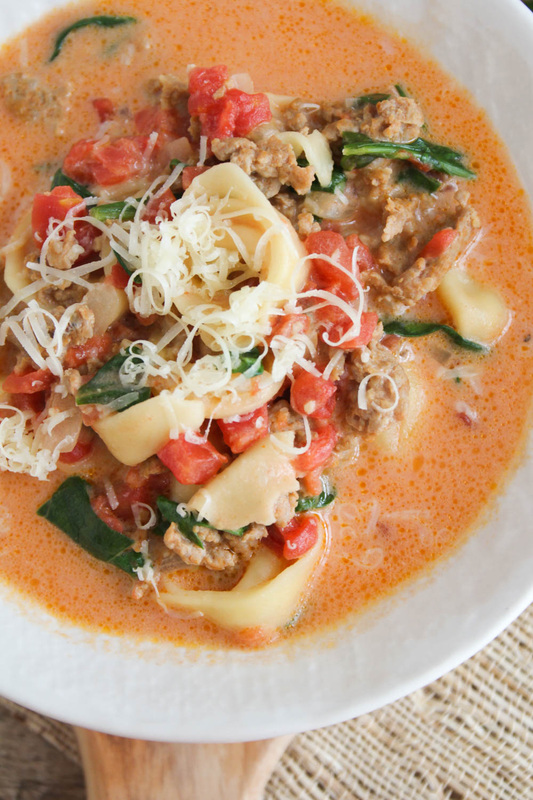 Once it's simmering, add your frozen tortellini. 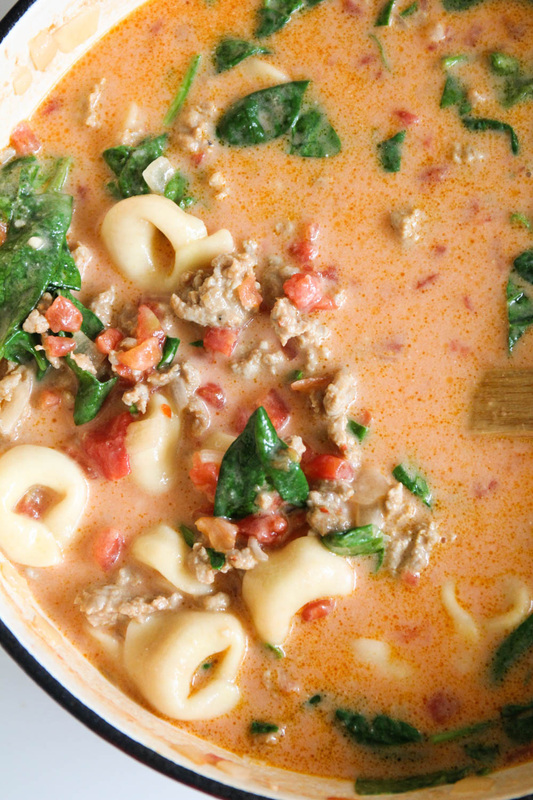 When the tortellini is cooked, you'll stir in your chopped spinach, half and half, cream cheese, and parmesan cheese, and add salt and pepper to taste. And yum! A delicious and easy dinner the whole family will love! Heat a large pot or dutch oven over medium heat. Add the onion and garlic to the pot and cook until softened and fragrant, about 2-3 minutes. 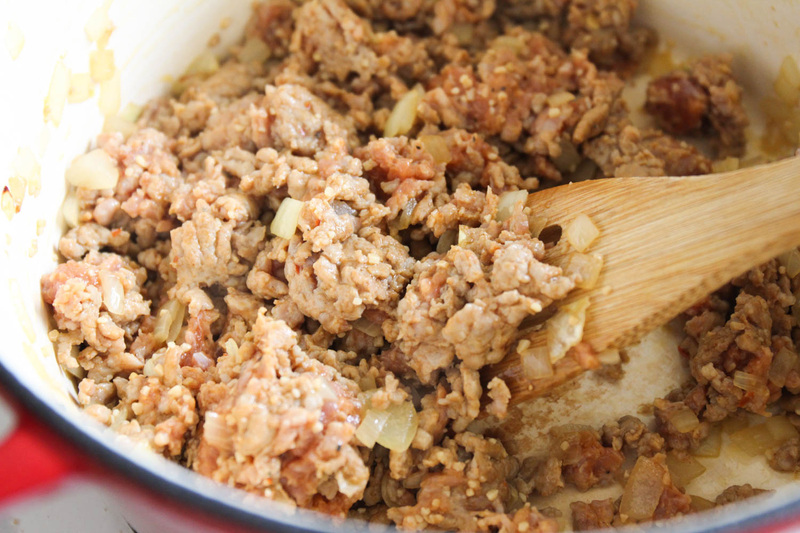 Add the Italian sausage and break it into smaller pieces as it cooks. When the sausage is nearly cooked through, add the chicken broth, diced tomatoes, and tomato sauce, and bring to a simmer. Add the tortellini. 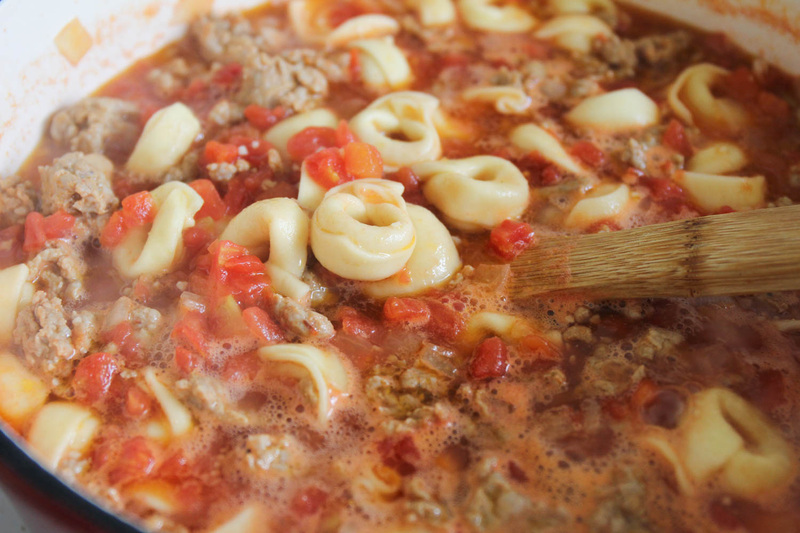 Cook 4-5 minutes, or until the tortellini is plumped up and floating. Remove from heat and stir in the spinach, half and half, cream cheese, and parmesan. Return the pan to low heat and cook until the cream cheese is melted and distributed. Add the salt and pepper. Serve immediately. Super excited! 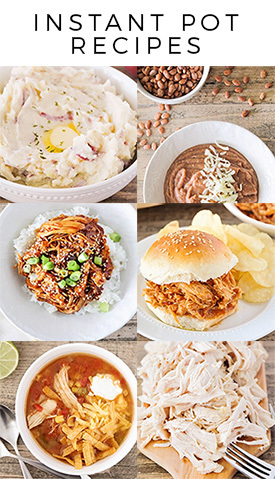 I have every ingredient on hand and now I have a plan for dinner this evening! 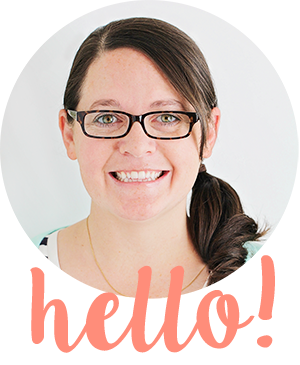 I am new to your blog and already love it! Thank you for sharing! This popped up on Yummly when I searched for ground sausage recipes. We had it tonight and my whole family loved it. This look fantastic! yum! Such a fan or tortellini. Thanks for sharing!